Jaguar Land Rover Albuquerque has a wide selection of exceptional pre-owned vehicles to choose from, including this 2019 Land Rover Discovery Sport. This Land Rover includes: CIRRUS/LUNAR, PARTIAL LEATHER SEAT TRIM Cloth Seats Leather Seats NAVIGATION SYSTEM (TOUCH) Navigation System FUJI WHITE VISION ASSIST PACKAGE Fog Lamps Daytime Running Lights HID headlights Headlights-Auto-Leveling WHEELS: 18 9 SPOKE ALLOY (STYLE 109) Aluminum Wheels AUDIO UPGRADE PACKAGE HD Radio Satellite Radio Premium Sound System CLIMATE COMFORT PACKAGE Heated Rear Seat(s) Heated Steering Wheel Heated Front Seat(s) 12-WAY POWER FRONT SEATS W/4-WAY LUMBAR Power Passenger Seat Power Driver Seat Passenger Adjustable Lumbar Driver Adjustable Lumbar BASIC INTERIOR PROTECTION Floor Mats *Note - For third party subscriptions or services, please contact the dealer for more information. * Your buying risks are reduced thanks to a CARFAX BuyBack Guarantee. Sure, every Certified Pre-Owned Land Rover is rigorously inspected. 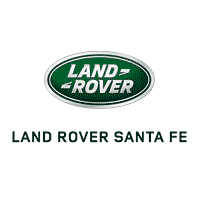 However, a Certified Pre-Owned Land Rover Discovery Sport SE from Jaguar Land Rover Albuquerque offers complete peace of mind. This Land Rover Discovery Sport SE is an incredibly versatile vehicle that is a must have for any family. No matter the terrain or weather, you'll drive at ease in this 4WD-equipped vehicle. With exceptional safety features and superb handling, this 4WD was engineered with excellence in mind. Marked by excellent quality and features with unmistakable refined leather interior that added value and class to the Land Rover Discovery Sport Let's be honest, not everyone wants to set a course blindly into the dark. For those of us that don't, there are vehicles like this with stellar navigation systems. Pre-owned vehicle pricing includes all offers and incentives. Tax, Title and Tags not included in vehicle prices shown and must be paid by the purchaser. While great effort is made to ensure the accuracy of the information on this site, errors do occur so please verify information with a customer service rep. This is easily done by calling us at (505) 474-0888 or by visiting us at the dealership.